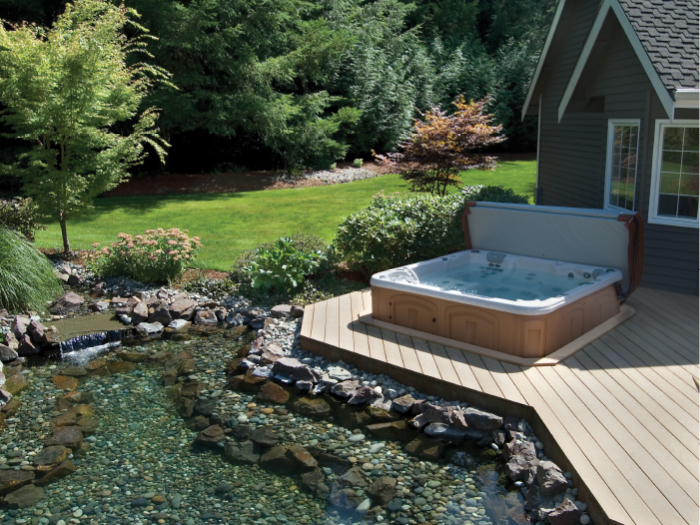 If you are thinking of purchasing a Clearwater Spa / Hot Tub there are 3 main points that you need to consider before taking delivery, which are the Base, Electrics & Access. If you would like to speak to one of our team in detail about any of the following points then please call today 360.435.5030 If a site is not to our specification on arrival, apart from the disappointment, a return visit may be needed which could result in a small surcharge. "It's not all about selling it's about caring!" 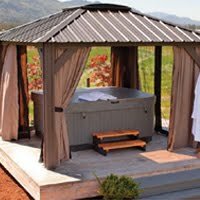 Hot tubs are extremely heavy items, then you add water! On average a hot tub will weigh over a tonne when filled, swim-spas could be 10 times that so you must make sure that the area is suitable to take a constant weight for a long time. Hot Tubs must be sited on a solid, flat level base, as in most cases this would be an existing patio/terrace or decking area so you will need to double check as to avoid disappointment on the big day! If a new base is being constructed then it should be no less than 4" thick, it must also be tampered off completely level. For any further advice on getting the right area/base then please call our groundwork team today 360.435.5030. A qualified electrician must install your hot tub supply to our specification prior to the delivery date, they will normally carry out a test and leave you a certificate for your records. 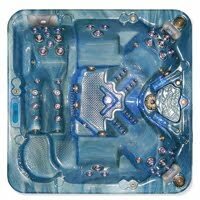 Our hot tubs require one of three ratings which are either 13amp, 20amp or a 32amp supply. In all cases the supply must be protected by a 30m/a RCD trip. It is also advised to have a local isolation point in the form of a double pole idolator switch sited 2 meters away from the appliance. The correct type and size of cable must be used depending on the site conditions. The correct length tail is also important so that you can have the hot tub facing the right way. Hot tubs are bulky heavy items on average 1 in 5 of our installations will require the assistance of a crane (which can be quoted for). Many installations are carried out with the hot tub on its side on a trolley so access must be free and clear. Tight turns and a few steps are never too much of a problem but it may be best for one of the team to carry out a site check. On some occasions fence panels, gates can be removed to gain access rather than paying for a crane!